Private bus operators have decided to call off the strike action which was scheduled to commence from midnight today (16), after the government had reportedly agreed to increase the bus fares by 12.5%. 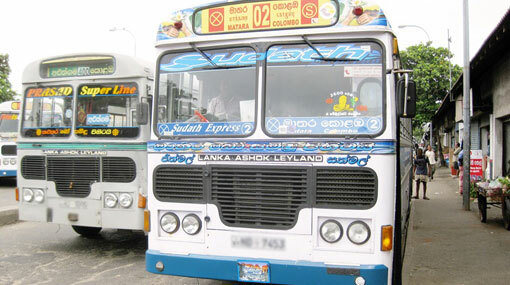 The Inter-Provincial Bus Owners’ Association decided to join the strike based on the same demands. The Deputy Minister of Transport and Civil Aviation Ashok Abeysinghe met with the representatives of bus associations today, to discuss the bus fare revision.